A new HR stepped in to help improve employee morale. With just one action she tripled employee participation. This is how she did it. When Sama Ooryad at Huawei Technologies took over the responsibility for their device to improve employee morale, the HR Assistant was eager to bring positive change. The company had started 4 months earlier with a free Celpax device to measure employee mood. After getting familiar with how the employee mood results are presented online, Sama realized that their participation level was somewhat lower in comparison to other companies. “I sent an email to all our colleagues asking them to get involved in order to have a greater workplace and a higher employee mood. I presented the employee mood results so far, asked for feedback on how we could improve, and told everyone I was there for them”, says Sama. “I received SO many messages back from colleagues saying wow, this is great! I was happy answering them all. It was interesting to hear what made them frustrated at work, to hear what makes them press the red button as they leave for the day. This knowledge will help while we work towards making the mood of our colleagues better here in Iran. The goal is to take action! I want to be as practical as possible and meet more colleagues face to face to try and help solve potential problems”, she states. Sending one simple email had a tremendous impact on Huawei’s employee participation. “I’m now sending update emails regularly”, the HR assistant explains. “I also want to be a messenger to other departments and show that in our company we care about how our people feel”. Since starting the regular email updates, Huawei Technologies are now busy implementing the real-time feedback in more locations. 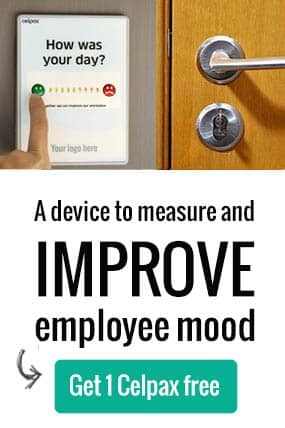 They will soon be able to compare their employee mood between work sites and learn more about what initiatives help the most to continuously improve at work, and boost morale at work. 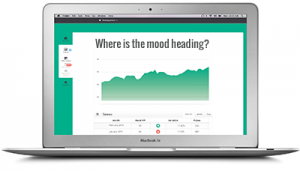 The HR Director, Milad Rafati, has also made sure they have an app where colleagues can follow how their employee mood is evolving. Us Celpaxers wish Sama, Milad and their colleagues at Huawei best of luck on their journey to improve their workplace even further! You too can improve your workplace for free! 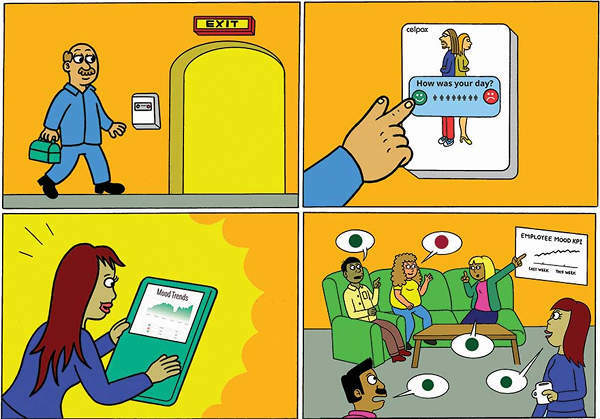 Get 1 Celpax device and check if your strategy to drive employee engagement is working. Start building a positive work culture today.